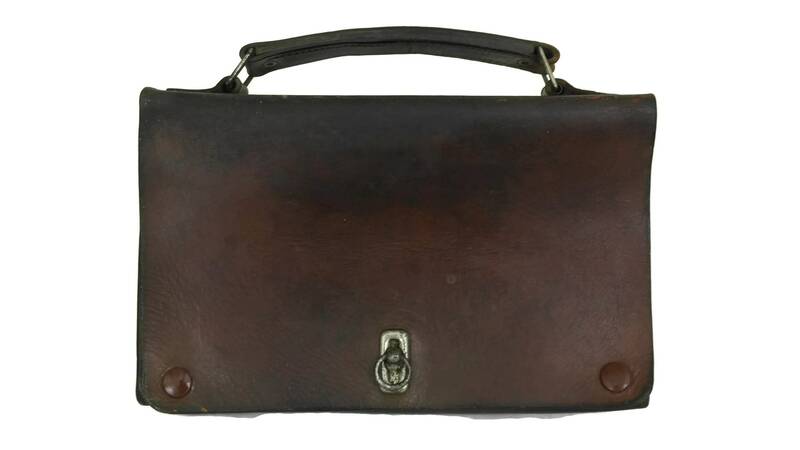 A charming little antique leather kids school bag from the 1930s. 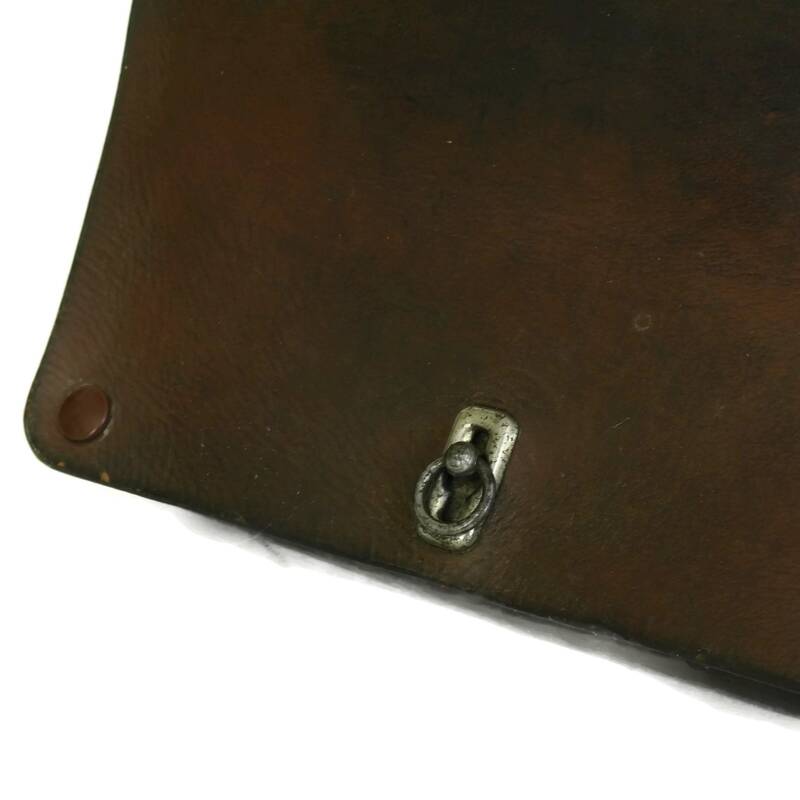 It features a top handle and front flap with press studs and metal ring clasp. 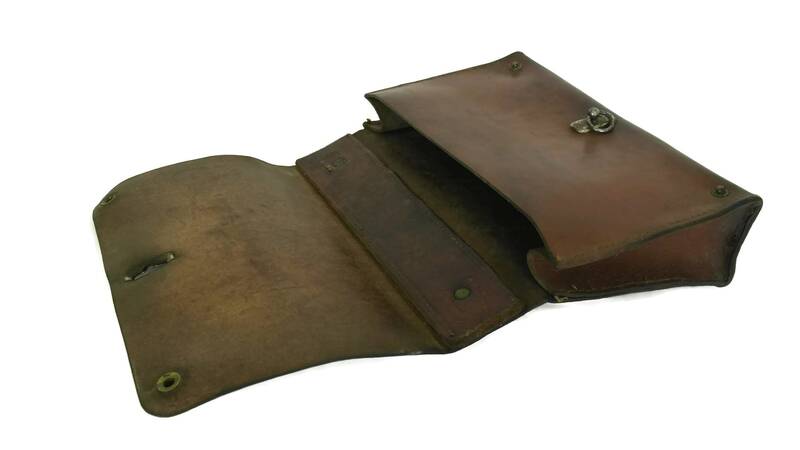 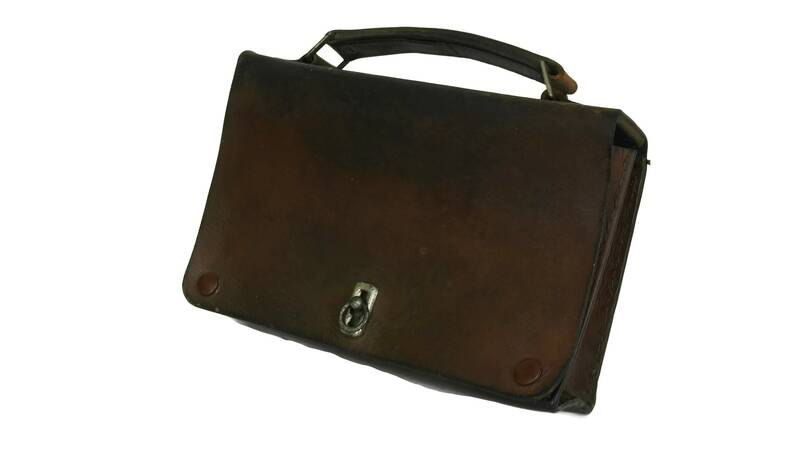 The small brown purse has been hand crafted from sturdy tanned leather with metal hardware. 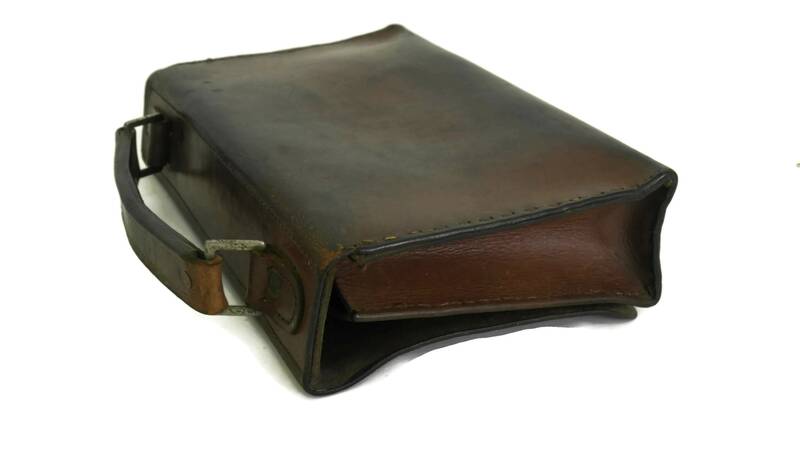 (25 cm x 15 cm x 5 cm). 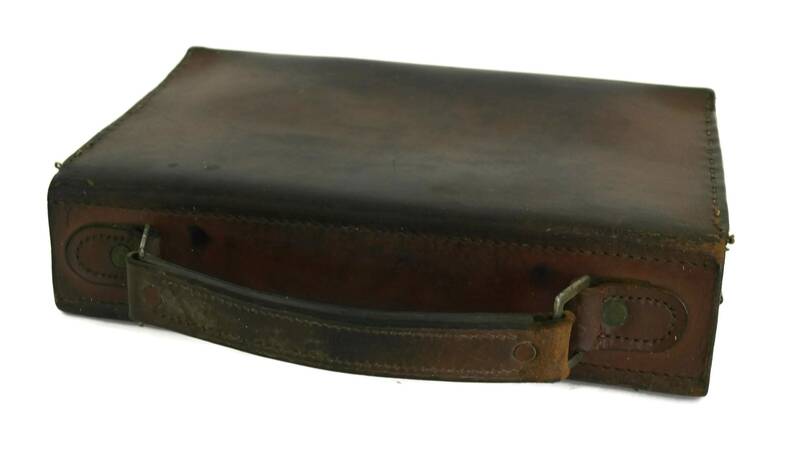 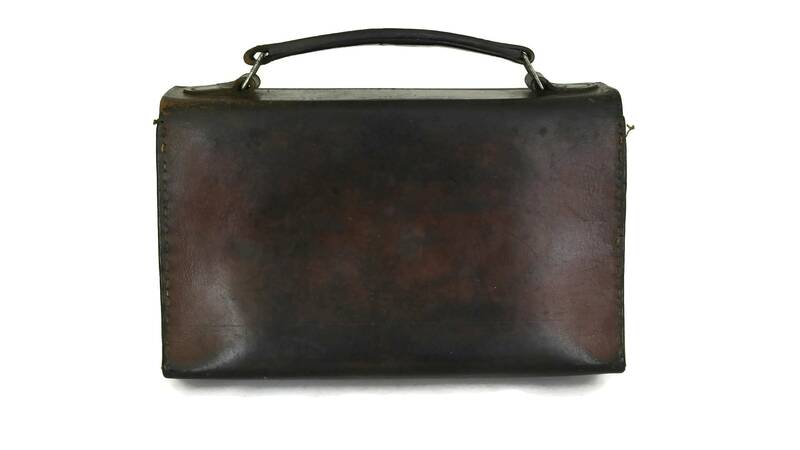 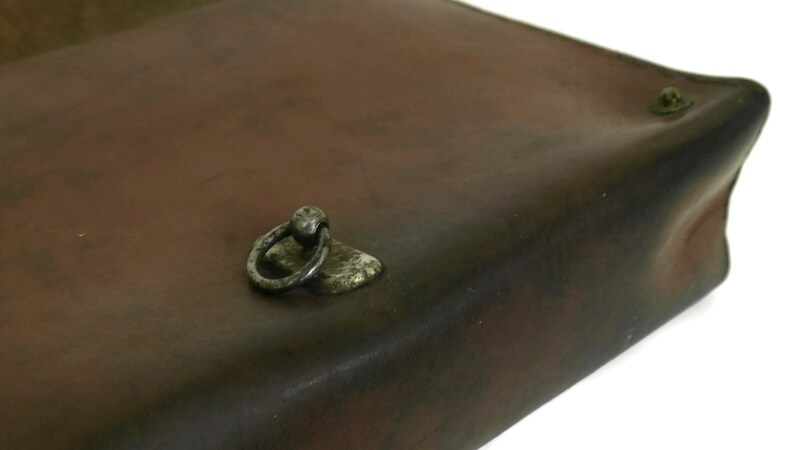 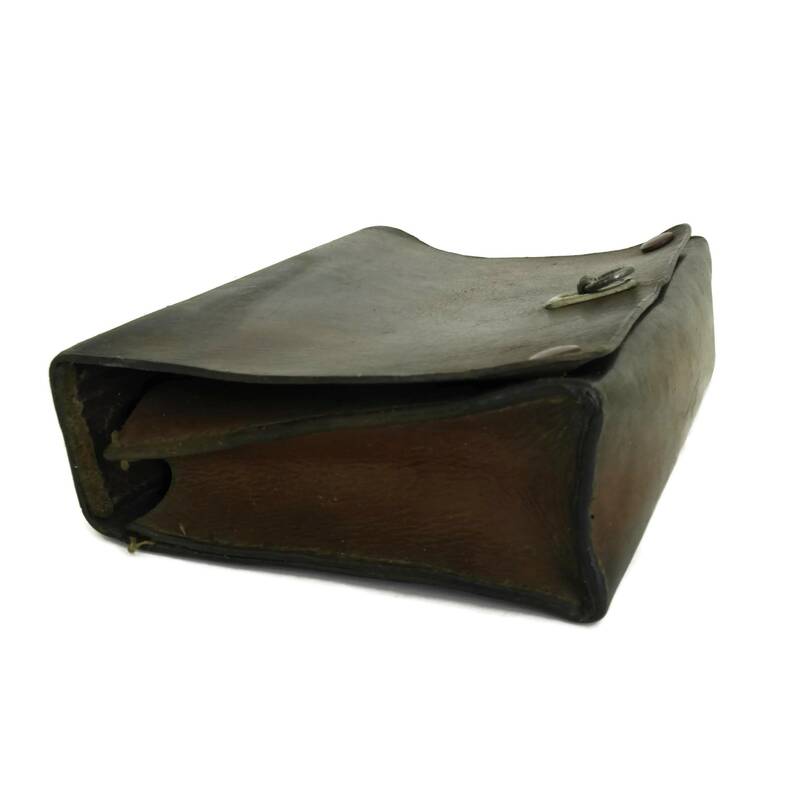 The kids leather school bag is in good antique condition with a beautiful aged patina? 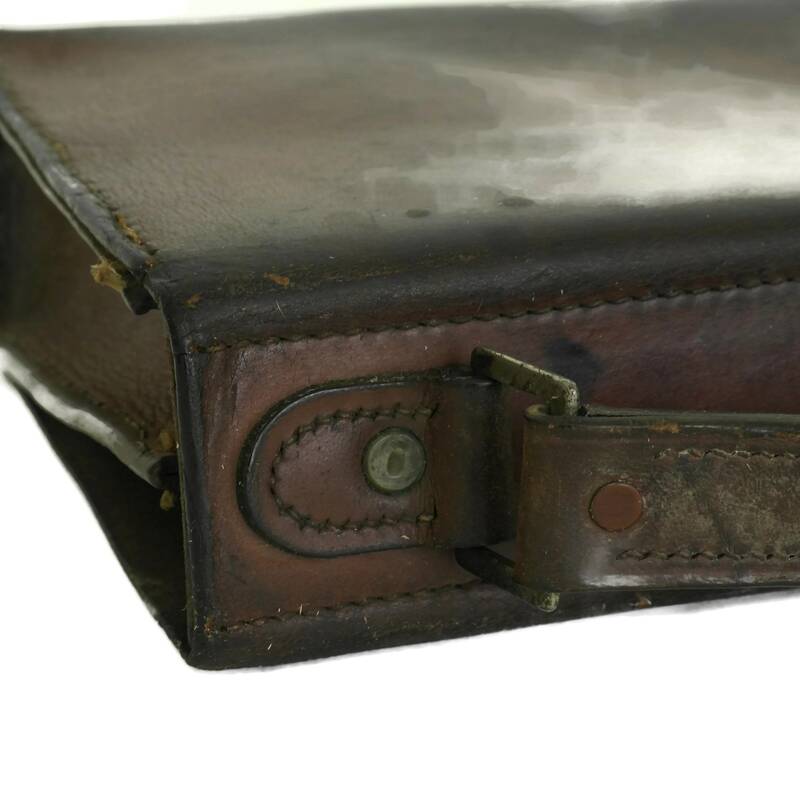 There are surface marks to the leather, some broken stitches to the stitching and tarnishing to the metal hardware.